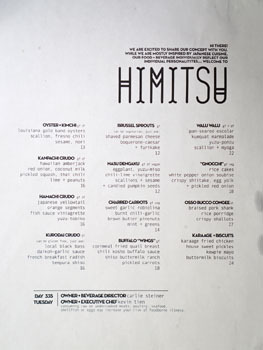 I had time for three dinners on my latest visit to DC, and the first place I hit up was Himitsu, which came highly-recommended by just about every industry person I talked to on my last trip here. 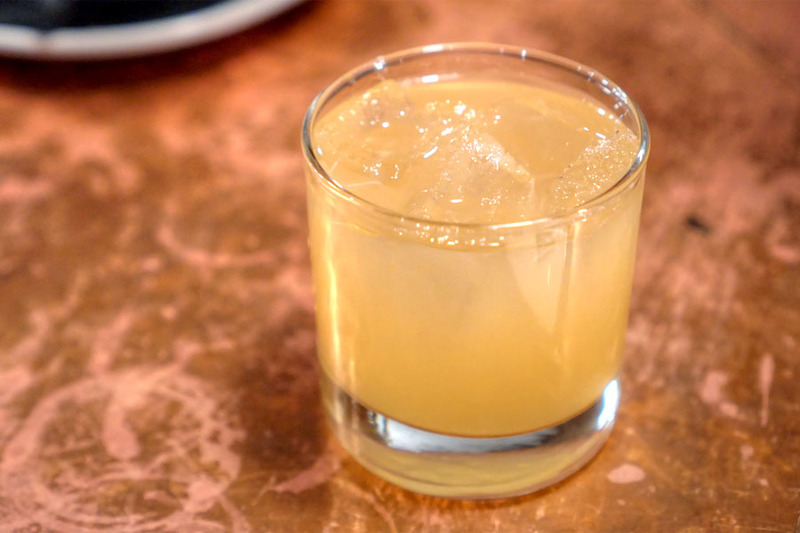 The Petworth restaurant is named after the Japanese word for "secret," and is the work of Executive Chef Kevin Tien and Beverage Director Carlie Steiner. 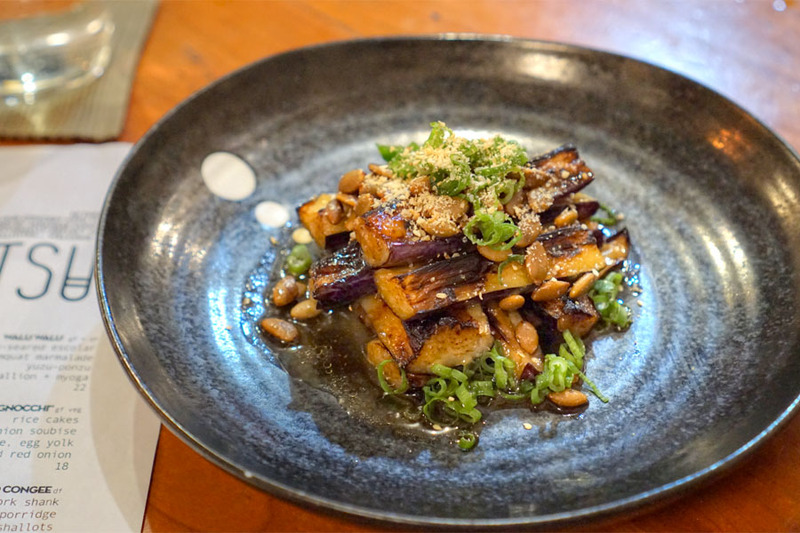 The two partners opened the place in November 2016 as a contemporary Japanese-inspired eatery with doses of Latin American, Southeast Asian, Korean, and American Southern influence. About the Chef: Tien was born in 1987 in Louisiana. His Vietnamese family ran a restaurant, and he started working there around the age of 13. During high school, he was a part-timer at a local Japanese spot, and following graduation, continued on to work as a sushi chef at Tsunami in Baton Rouge to help finance his studies. In 2005, Tien started his undergrad business degree at the University of Louisiana, finishing in 2009, and in 2011, began his M.S. degree in business analytics at Louisiana State University, completing that degree the following year. 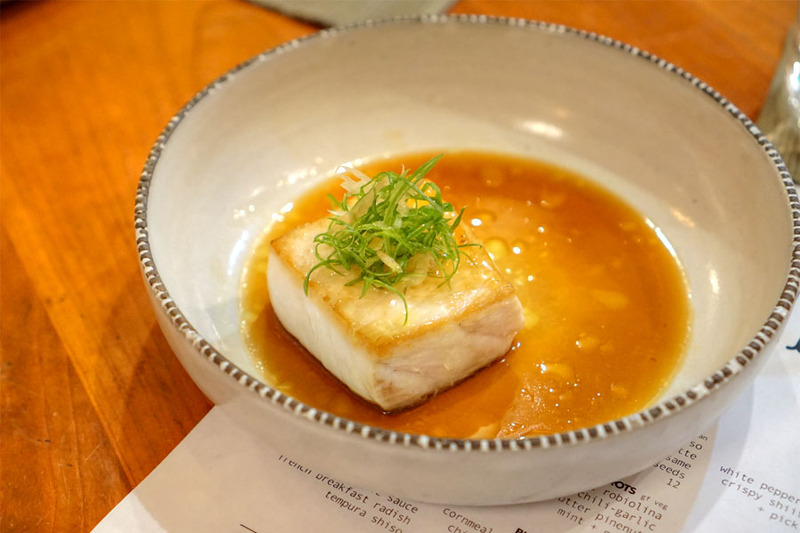 After a brief stop at Tyson Cole's Uchi in Houston, he moved to DC in 2012. Here, Tien landed a position at José Andrés' Oyamel, which is where he first met his future business partner. Steiner was born in 1991 and grew up in Virginia Beach. She started working in the industry at the age of 14, and originally wanted to become a chef. After graduating from Frank W. Cox High School in 2009 and completing her culinary arts certificate at VB Tech Center, she enrolled at the Culinary Institute of America. Steiner attained her AOS in 2010 and her BPS in 2012, and while attending school, cooked at both American Bounty (the CIA's in-house restaurant) and the nearby Mashomack Preserve Club. Following, she relocated to the District and worked temporarily at Oyamel while preparing for the opening of Barmini, which debuted in January 2013. She fell in love with bartending, and continued her work there and at Minibar for two years before leaving at the start of 2015. 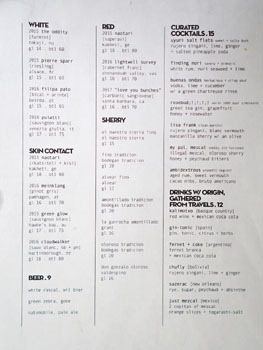 In June that year, Steiner founded her own cocktail catering and consulting company, Stir Bartending Co, which was responsible for the "Variations on a Theme" events held at local bar Petworth Citizen. Getting back to Tien, in addition to his time at Oyamel, he also cooked at Farmers Fishers Bakers in Georgetown and Kaz Sushi Bistro in Downtown. Following, from 2013 to 2015, he tried to work a desk job at software provider hCentive and insurer GEICO. In October 2015, he became sous chef at David Chang's Momofuku CCDC, a position he held until the following June. At that time, Tien teamed up with local attorney (and neighbor) Logan Hollers and operated Poke Pop, a poke pop-up held at the Prequel event space-slash-incubator. 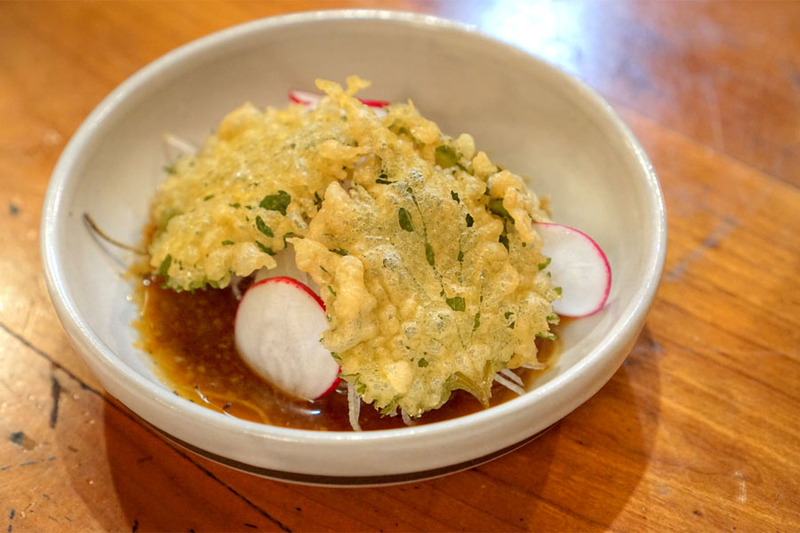 Poke Pop eventually made its way to the in-work Himitsu space and Petworth Citizen for "Variations on a Theme," and at the end of that June, the Chef also cooked a one-night-only Vietnamese pop-up called Xin Chao. He later became a morning line cook at the widely-lauded Pineapple & Pearls. 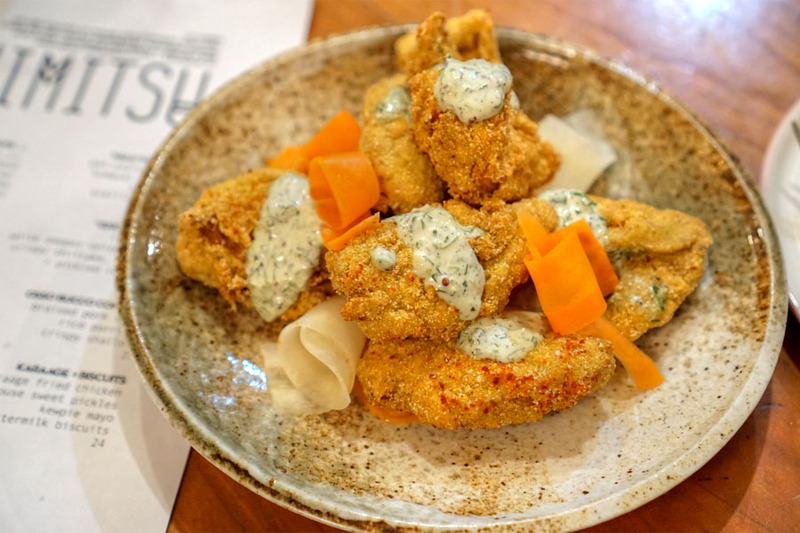 With some help from crowd funding platform EquityEats, the two partners opened Himitsu in the former home of Paul Ruppert's Crane & Turtle and its temporary successor Cappy's Crabs (which had Johnny Spero at the helm). The restaurant had only 24 seats (eight of which are at the bar) and no reservations, but quickly became one of the hottest spots in town. People outside of DC began to notice, too. In February 2017, Tien was deemed a "Rising Star Chef of the Year" semifinalist by James Beard, while August saw Himitsu get an "America's Best New Restaurants" finalist nod from Bon Appetit. That fall, Washingtonian deemed the place one of "The 10 Best New Restaurants Around DC," and The Washington Post's Tom Sietsema gave it the #3 spot on his "2017 Fall Dining Guide." Most recently, in February, Washingtonian placed Himitsu fourth on its list of "The 100 Very Best Restaurants in Washington." If that wasn't enough, Tien is currently competing on season two of Food Network's Iron Chef Gauntlet (alongside LA's David LeFevre). 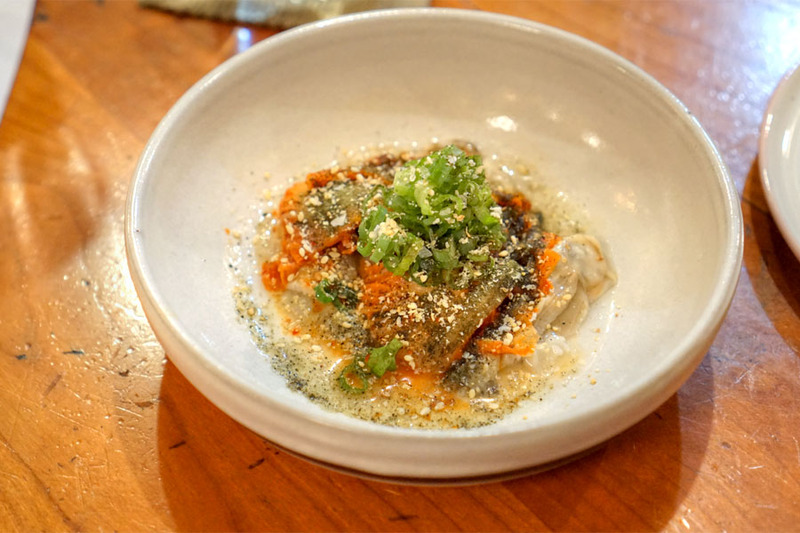 Himitsu's oft-changing menu is refreshingly compact, with only a dozen or so shareable small plates (apparently there's also an "omakase" option). Note that the sushi/sashimi options that were here when the restaurant opened have since been removed. 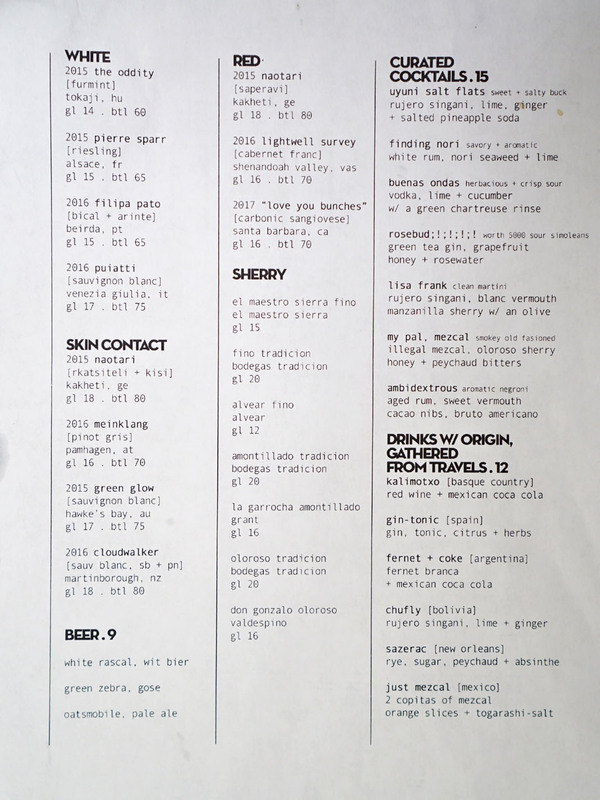 To drink, you get a small-but-interesting wine list with a particular focus on Sherry (Steiner developed a taste for Jerez as a member of the RedEye Menus supper club), as well as a smattering of beer and fun cocktails. Click for larger versions. I'm not sure what all the extraneous punctuation was all about with this cocktail, but it worked well enough. The bitterness of the tea was right in your face, but also evened out by the the sweetness of grapefruit and honey to make for a pretty balanced drink. I would've liked to have tasted more from the rosewater, though. The kuro dai was excellent, one of the best preparations of the snapper I've had no doubt, and my favorite dish of the evening. The fish ate clean and lean, with a snappy bite, and paired beautifully with the depth of that garlic sauce, which had an almost truffle-like headiness to it. I also appreciated the slight heat present, and the crunch of that tempura was spot on. Oysters were plump and briny, and showed off a wonderful back-and-forth with the spice and crunch of baechu kimchi. Also key were the seaweed and sesame, which imparted a great nutty-savoriness on the back end. Another winner. 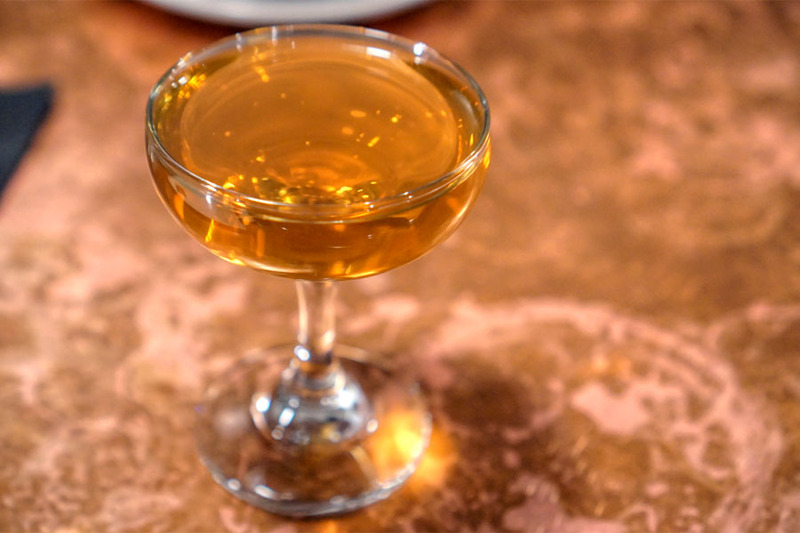 I had my first taste of singani (basically a Bolivian brandy) at Himitsu, and rather enjoyed it neat. 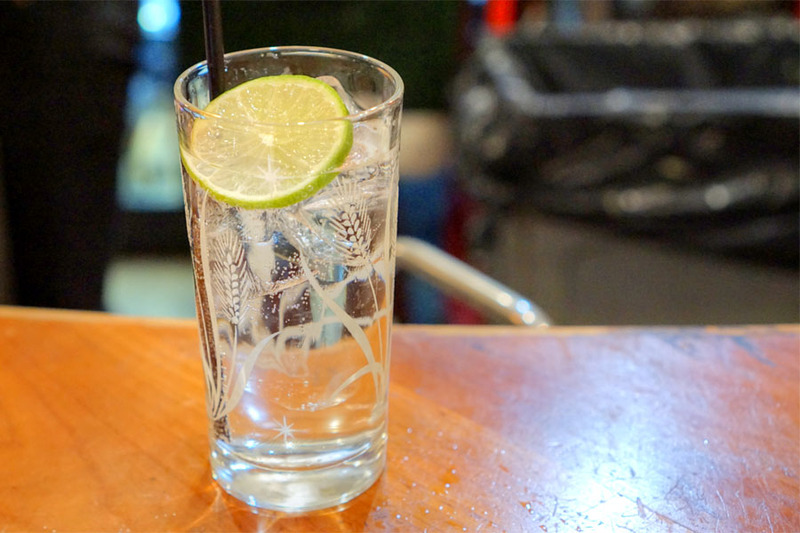 Thus, I asked to have it in a cocktail as well, and ended up getting a gin and tonic with singani replacing the namesake gin. You could really taste the grapiness of the spirit, and it actually meshed really well with the tonic and citrusy, herbaceous nature of the drink. The perfectly-textured miso-glazed eggplant was another standout, and one of the strongest preparations of nasu I've had. There was a really fine balance of sweet and savory here, along with just the right amount of tempering smoke. The scallions provided a bright, zippy accent to the dish, and I loved the crunchiness and nuttiness of those pepitas. 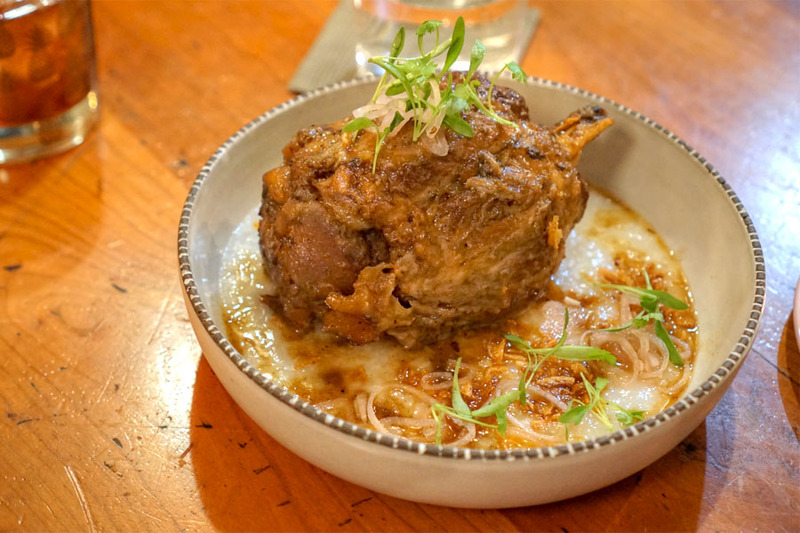 The quail was a fun one, and came out with a gritty, crunchy crust and tender, juicy insides. I was a fan of the zestiness of the ranch, while the Buffalo sauce on the bottom added a good measure of heat and tartness. My final cocktail was described as an "aromatic Negroni," though the resemblance wasn't that strong by my estimation. Nevertheless, it was a solid drink. Loads of vermouth on the nose, punctuated by citrus. The palate was bittersweet at first blush, but then showcased the rum and chocolate, with again more citrus as an accent. Waloo arrived meaty and flaky, with a definite fattiness to it as expected. Flavors were savory and saline, but with a counterpoint from the sweetness of kumquat. A bit heavy, but the greenery up top worked to lighten the dish. I ended with the "ossobuco." The pork came out super tender, near falling-apart, and was loaded with rich, dark, homey flavors and just the right amount of sweetness. That cozy porridge made total sense as a pairing, though I really wanted more of it. Nice tang on those onions, too. 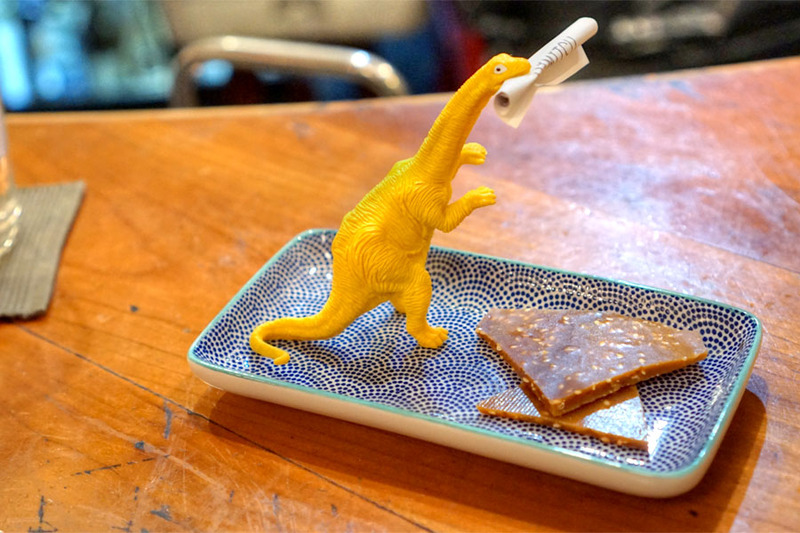 Unfortunately, no dessert is served at Himitsu, so I had to make do with a couple shards of sticky cayenne-laced sesame brittle that arrived with the plastic dinosaur-presented bill. 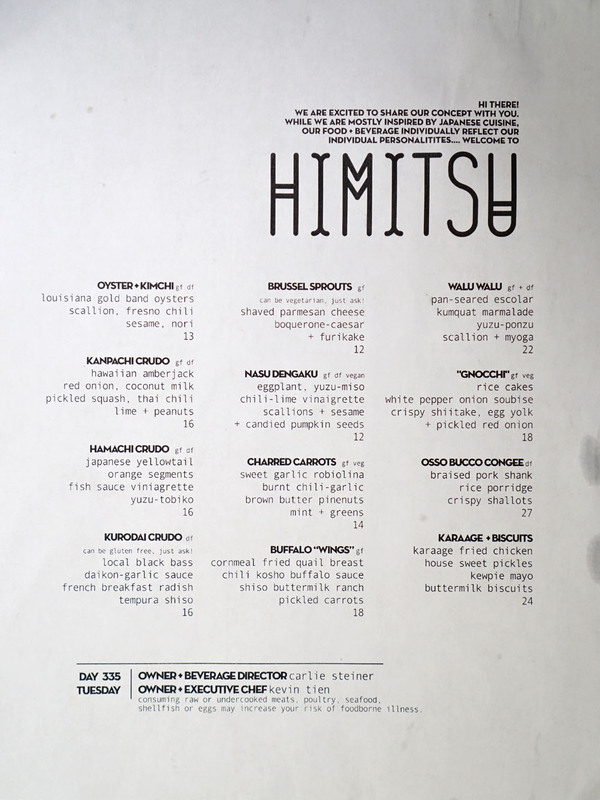 Himitsu's been getting a lot of attention ever since it opened, but I can understand why. You can clearly see the Japanese base in the cooking, but even more important is that Tien's not bound by it. The food instead incorporates a hodgepodge of global influences that really jibe without drawing too much attention to themselves. Combined with the lighthearted but precise service, and you get a dinner that's inviting-yet-warm, refined-yet-unquestionably fun. A welcomed development for DC dining for sure. 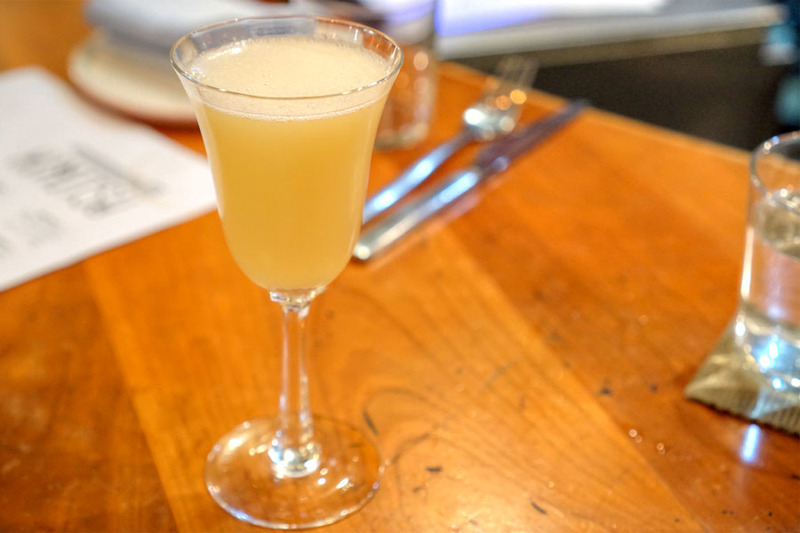 Given that Himitsu doesn't take reservations, I ended up having to wait about 40 minutes, and thus moseyed on over to Petworth Citizen across the street for some drinks. My first cocktail was definitely on the spirit-forward side of things. It had a nose that was slightly fruity at first, but also teeming with bitter, herbaceous nuances. On the palate, I got a lot of medicinal, botanical notes leading to rye-fueled spice and a touch of fruitiness on the finish. I wanted to go with something lighter for my second cocktail, and the evening's special punch tickled my fancy. 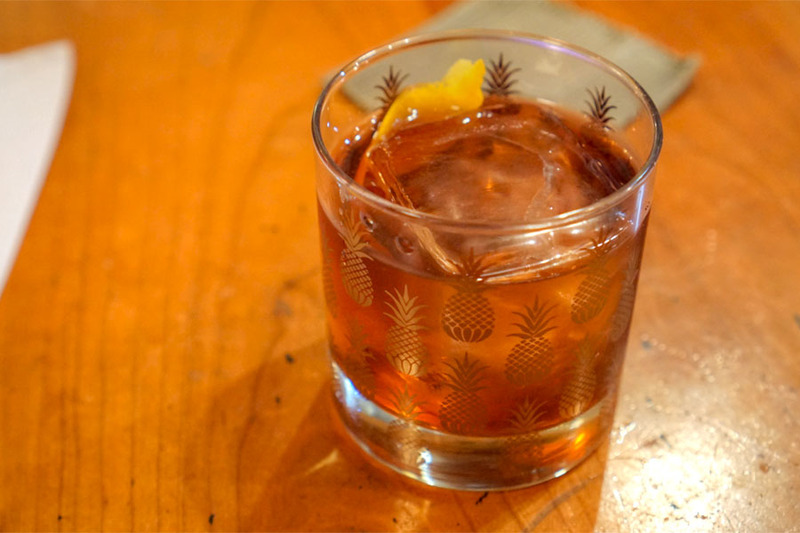 It was an easy-drinker for sure, with lots of citrus and ginger and overarching bittersweet notes from the Campari. This food blog has really gone downhill the past couple of years. What a gift to find your career at 14. This place looks like a must-visit. Hey Himitsu. Tyson Cole called. He wants his Walu dish back. tsk tsk. Wow, this place is beautiful, this is an ideal summer destination. thank you for sharing.